The London Eye: An iconic landmark in the London cityscape, this giant Ferris wheel (now officially the Coca-Cola London Eye) needs no introduction. Offering unparalleled views over the Big Smoke, do yourself a favour and opt for the champagne package. 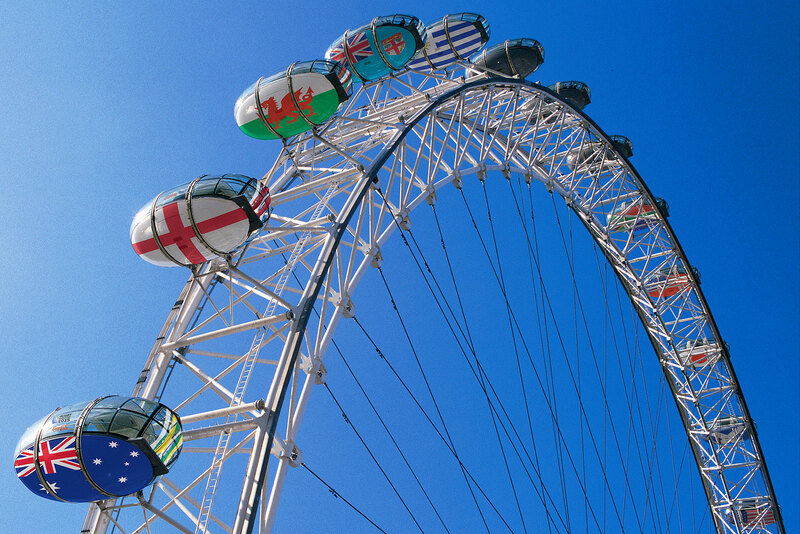 And, during the Rugby World Cup, the London Eye will become quite the spectacle as each of the capsules are wrapped in one of the 20 competing nations’ flags. Richmond in London: South West London will be seeing its fair share of rugby fans with Twickenham Stadium (the world’s largest stadium devoted to rugby, hosting the final), as well as The Lensbury Hotel and St Mary’s University hosting the New Zealand and South Africa teams. 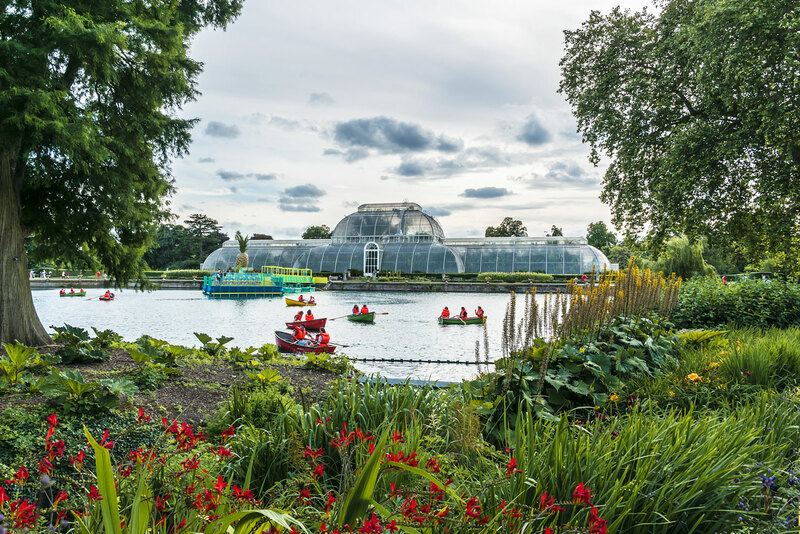 However, just a couple minutes up the Thames in leafy Richmond, you’ll find historic houses (including Hampton Court Palace), lush parks and impressive gardens, such as the iconic Kew Gardens. While you’re there, affluent Richmond is also home to an abundance of lively bars, cafes and various boutiques with designer labels to antiques, primed to seduce a credit-card-wielding traveller like yourself. 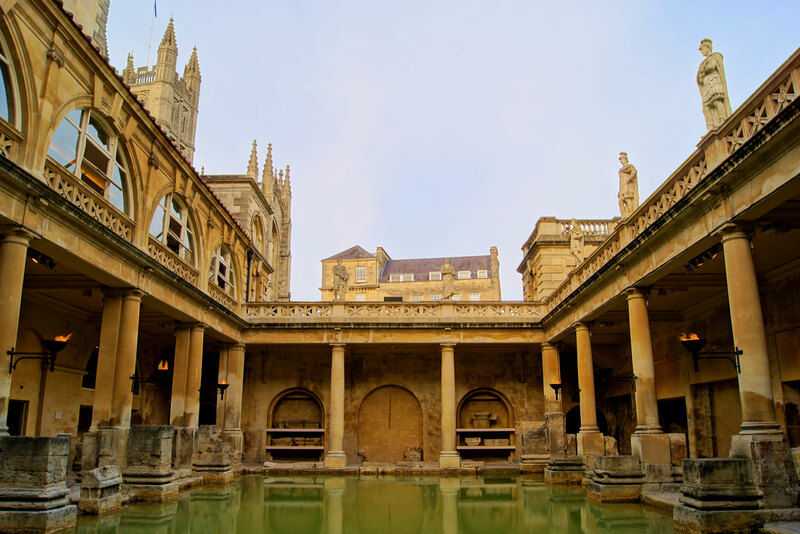 Roman Baths in Bath: In a city founded on natural hot springs, drawing visitors for some 2000 years, a visit to the place where it all began is almost non-negotiable. As one of the best-preserved Roman bathhouses in the world, the local Roman Baths don’t disappoint with artefacts and historical titbits. Plus, it’s just beautiful to look at. We recommend the Twilight Tour. Thermae Spa in Bath: The other mandatory experience in a place named ‘Bath’, is of course, having a bath. And at Thermae Spa, oh, are there some baths to choose from! 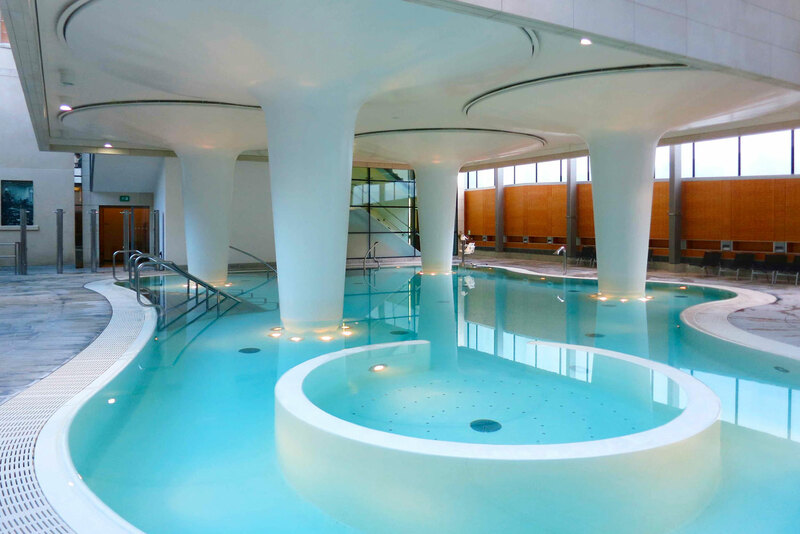 There’s the Cross Bath, an intimate open-air thermal bath, the Minerva Bath with massage jets, the open-air rooftop pool open day and night, as well as a plethora of massages, facials and wraps to sample. Or for a more exclusive spa experience, stay at the neighbouring Gainsborough Bath Spa hotel where you can access ‘Spa Village’, where even more steam rooms, saunas and various thermal pools await. 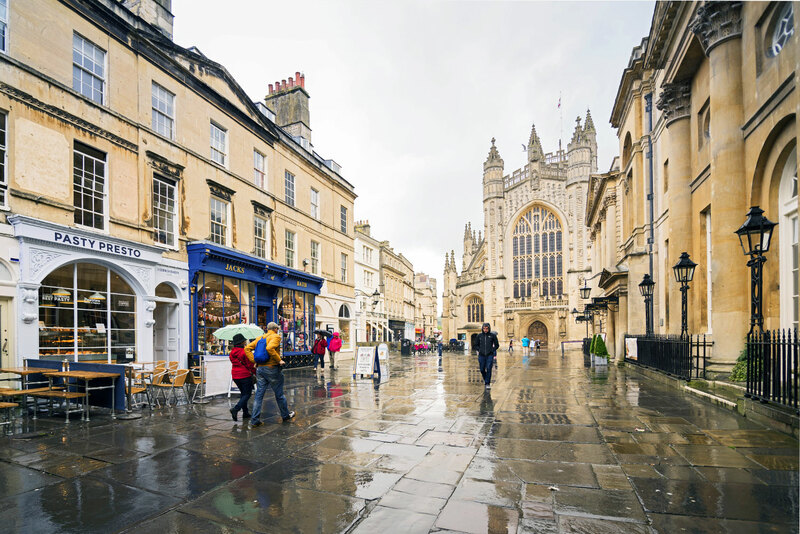 Shop ’til you drop in Bath: Within the limestone buildings that line Bath’s narrow streets is a truly magnificent spread of stores. Sure, there are your more affordable mainstream types like Marks & Spencer, but what Bath’s shopping scene is renowned for is the plethora of boutiques. From eco-conscious clothing to designer labels or niche stores like The Antique Map Shop – take your time and get wonderfully lost in the warren of stores. 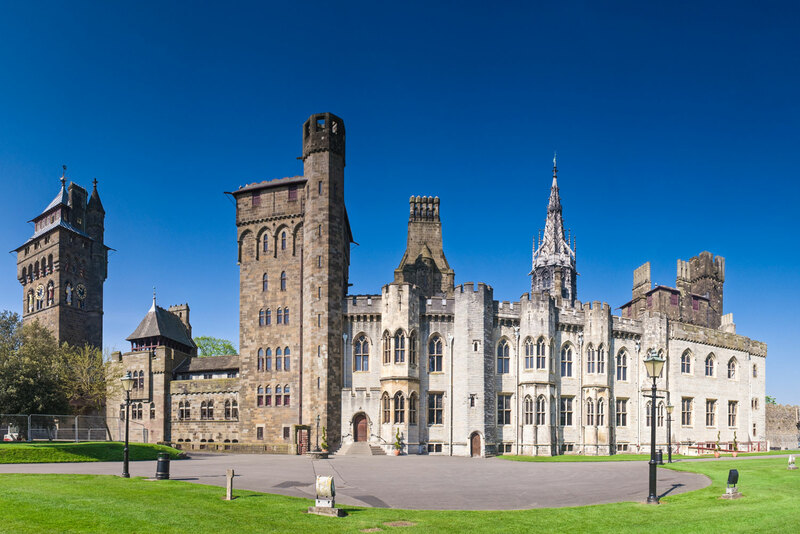 Cardiff Castle: The centrepiece of Cardiff, this 2000-year-old castle is not only a great place to get your bearings in the city, it’s also layered with local history. Originally a Roman forte, a Norman keep in the 12th century, then a castle for the outrageously wealthy Bute family in the 1800s, Cardiff Castle and much of its parkland was eventually gifted to the city in 1947. Today, it’s one of the most popular attractions in Wales with a stunning keep to wander through. Take your time, there’s lots to take in, and go on one of the lively guided tour options available. While some 500,000 travellers are expected to descend on the UK during the Rugby World Cup 2015, there’ll be some of us going who, ahem, aren’t such avid fans. Here’s what ELSE to do in some the UK’s greatest Rugby hotspots…. And, of course, the Final. Now it goes without saying that there’s no shortage of exciting things to see, do, taste and try around London, which the whole family can enjoy. So short of repeating our entire London Travel Guide, here are some standout activities with a more subtle rugby twist. An iconic landmark in the London cityscape, this giant Ferris wheel (now officially the Coca-Cola London Eye) needs no introduction. Offering unparalleled views over the Big Smoke, do yourself a favour and opt for the champagne package. And, during the Rugby World Cup, the London Eye will become quite the spectacle as each of the capsules are wrapped in one of the 20 competing nations’ flags. South West London will be seeing its fair share of rugby fans with Twickenham Stadium (the world’s largest stadium devoted to rugby, hosting the final), as well as The Lensbury Hotel and St Mary’s University hosting the New Zealand and South Africa teams. However, just a couple minutes up the Thames in the leafy Richmond borough, you’ll find historic houses (including Hampton Court Palace), lush parks and impressive gardens, such as the iconic Kew Gardens. While you’re there, affluent Richmond is also home to an abundance of lively bars, cafes and various boutiques with designer labels to antiques, primed to seduce a credit-card-wielding traveller like yourself. The Stadium at Queen Elizabeth Olympic Park (which will host an array of games throughout the Rugby World Cup) is one of several features within this enormous park, the size of Hyde Park and Kensington Gardens combined. Having recently undergone a major facelift to transform it into a more engaging space for locals and visitors alike, expect unique outdoor areas designed for a range of ages, bike trails and new gardens to explore. There’s also the Lee Valley VeloPark to check out, a hub for cyclists where you can even try riding in the velodrome, and the ArcelorMittal Orbit – Britain’s largest sculpture from which you can get cracking views for miles. While Bath boasts one of England’s most well-known rugby clubs, Bath University now has state-of-the-art sports facilities to its name, which will be used by the Australian Wallabies side as they base themselves here and prepare for their opening match of the tournament against Fiji. Bath is also just an hour’s train ride from Cardiff – another Rugby World Cup city. In a city founded on natural hot springs, drawing visitors for some 2000 years, a visit to the place where it all began is almost non-negotiable. As one of the best-preserved Roman bathhouses in the world, the local Roman Baths don’t disappoint with artefacts and historical titbits. Plus, it’s just beautiful to look at. We recommend the Twilight Tour. The other mandatory experience in a place named ‘Bath’, is of course, having a bath. And at Thermae Spa, oh, are there some baths to choose from! There’s the Cross Bath, an intimate open-air thermal bath, the Minerva Bath with massage jets, the open-air rooftop pool open day and night, as well as a plethora of massages, facials and wraps to sample. Or for a more exclusive spa experience, stay at the neighbouring Gainsborough Bath Spa hotel where you can access ‘Spa Village’, where even more steam rooms, saunas and various thermal pools await. Within the limestone buildings that line Bath’s narrow streets is a truly magnificent spread of stores. Sure, there are your more affordable mainstream types like Marks & Spencer, but what Bath’s shopping scene is renowned for is the plethora of boutiques. From eco-conscious clothing to designer labels or niche stores like The Antique Map Shop – take your time and get wonderfully lost in the warren of stores. The centrepiece of Cardiff, this 2000-year-old castle is not only a great place to get your bearings in the city, it’s also layered with local history. Originally a Roman forte, a Norman keep in the 12th century, then a castle for the outrageously wealthy Bute family in the 1800s, Cardiff Castle and much of its parkland was eventually gifted to the city in 1947. Today, it’s one of the most popular attractions in Wales with a stunning keep to wander through. Take your time, there’s lots to take in, and go on one of the lively guided tour options available. This may just be one of Cardiff’s most underrated landmarks. You could easily spend a whole day here, with 500 years of magnificent paintings, drawings, sculpture and ceramics from Wales and across the globe, including one of the world’s best collections of Impressionist art. In fact, it’s not uncommon to find yourself entirely alone with a whole room of works by Monet, Manet and Renoir. For the less artistically minded, at least make time to see ‘The Evolution of Wales’ exhibit, taking you on a journey from the Big Bang, to face-to-face with dinosaurs, volcanic eruptions and various other events that shaped how life evolved in Wales. Great for kids too! Cardiff’s answer to the Sydney Opera House, this glass, slate and copper oxide design icon resembles a Welsh armadillo. Inside is the national home for the performing arts, staging musicals, opera, ballet, circus and contemporary dance alongside the UK’s largest program of free performances. Cruise on Cardiff Bay – A hop, skip and jump from the Millennium Centre is Mermaid Quay – a former docking area that was once the largest port in the world. Since being beautified in recent years, you can now go on a ‘sea safari’ around Cardiff Bay on board a speedy powerboat, and get up close with neighbouring Flat Holm island. It’s a bit of fun for young and old alike.